Need more information about booking Home 7276267 ? An individual mountain house, surrounded by cherry tries garden. Located at Kernitsa, 170 km away from Athens, a tranquil village on the way to Kalavrita, northwest Peloponese. The height of the village is approximately eight hundred meters. The house can offer hospitality and comfort all year through. The sea is at a distance of thirteen kilometers from the house. There are many activities one can chose i.e walking in the picturesque forest paths, picking up nuts, apples or cherries depending on the season of the year... At a distance of thirty kilometers one may chose rafting, skiing or swimming as an activity. There are many historical and archaeological sites to visit by car, of course, for those who are interested on this field. Alternatively, one could chose to simply enjoy the garden, breathe the fresh air and listen to the birds, or admire a full star sky from the treehouse. It is a house recommended for large families or friends who aim to spend agreable time on their holidays. You can get in touch with Vasiliki (the owner) through the contact form on this page. Send Vasiliki (the owner) an email through the contact form on this page. Alternatively, if there’s a phone number on this page, you can call them. How do I contact Vasiliki (the owner)? If you’ve already booked, go to Manage your holiday booking to view Vasiliki the owner's contact details or send them a message. Or send Vasiliki (the owner) an enquiry through the Contact the owner/manager form if you’d like a quote or more info first. When you pay online through the Book your stay form, a booking request is sent to Vasiliki (the owner). You’ll find out within 24 hours whether they’ve accepted - no money will leave your account before then. You can also request a quote from Vasiliki (the owner) through the contact form. The owner will email you the total cost for your dates and a link to book and pay online. Use the Book your stay form to pay provisionally online. You can pay by credit/debit card or PayPal. Vasiliki (the owner) will have 24 hours to accept the booking and no money will leave your account before then. Why can't I call Vasiliki (the owner) before booking? You’ll need to contact Vasiliki (the owner) to do this. Send them a message in Manage your holiday booking or through the contact form on this page. You can request to change the dates or number of people on your booking via the Manage your holiday booking page. To change your holiday dates use the Edit booking button. 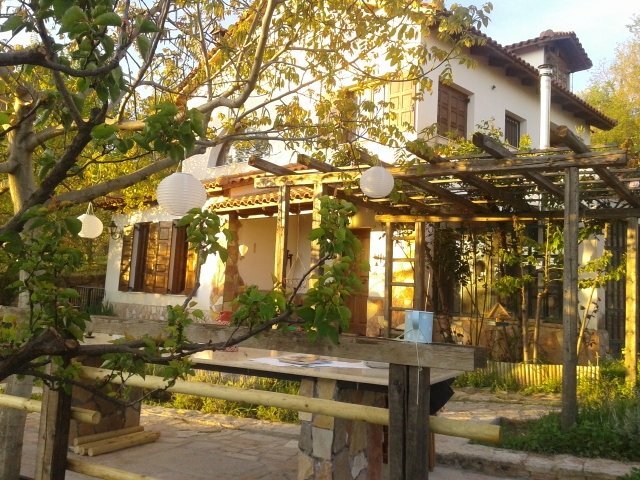 If you need to change the number of guests staying then send Vasiliki (the owner) a message. If Vasiliki (the owner) agrees, they’ll send you a revised quote outlining the changes. You can review and accept/decline this from the Manage your holiday booking page. You’ll have 48 hours to take action before the revised quote expires.